Last night I saw one of the best shows that I have ever seen in my life! On a particularly secretive date with my boyfriend, he wouldn’t tell me what we were going to see at the theatre and I must say, I’m impressed with his choice. 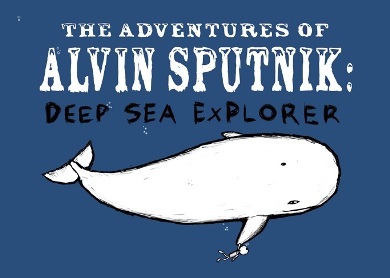 The adventures of Alvin Sputnik: Deep Sea Explorer – what a ride. 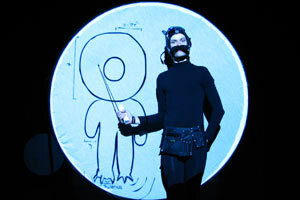 A mix of animation, mime, puppetry, performace, live music (on a ukelele) and some recorded sound effects all contributing to the story of Alvin Sputnik. A blurb from the website because I can’t say it better. 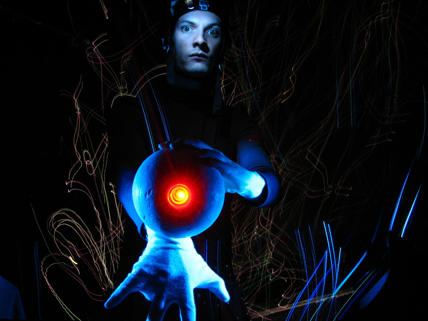 A visually inspired solo show, The Adventures of Alvin Sputnik: Deep Sea Explorer is created and performed by Tim Watts, who employs an unique blend of mime, puppetry, live and recorded music, and animation to present an exploration of the next and oldest frontier: the deep blue sea. I absolutely LOVE this show! It is a masterpiece, definitely thumbs up ALL the way up for this one. Previous article	← Wallpapered dreams my friends.